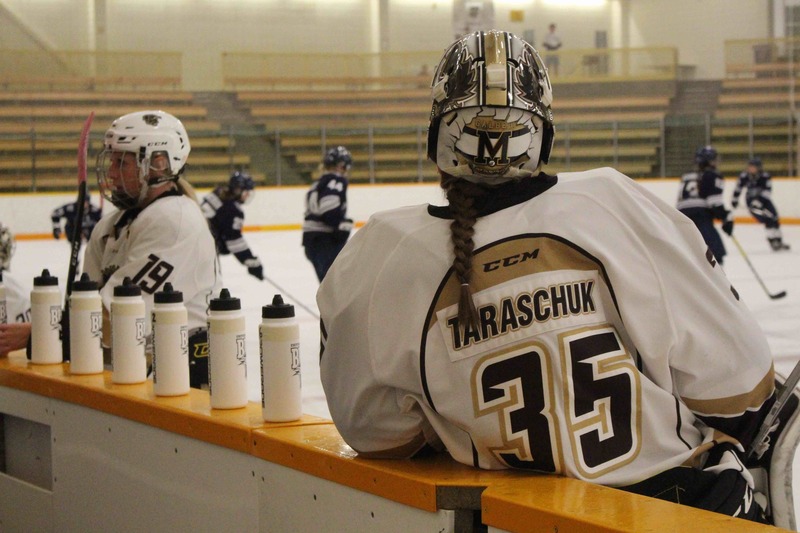 The University of Manitoba women’s hockey team opened a weekend series against the Mount Royal University Cougars with a 3-1 win at the Wayne Fleming Arena on Saturday. In the first period, Manitoba struck first with a late power-play goal. Natasha Kostenko intercepted a loose puck in front of the visitor’s net and fired top-right over Zoe De Beauville’s shoulder for the 1-0 lead. The Cougars had multiple early chances and carried possession for most of the opening frame but didn’t find the back of the net. Mount Royal tied the game at 1-1 in the second when Breanne Trotter got control of a blocked shot and pushed it past a sprawled-out Lauren Taraschuk. Manitoba missed a golden opportunity late in the second period when a shot from the side got past the Cougars goalie and the puck landed on the goal line. The Cougars netminder was able to cover the puck before anyone could capitalize on it. The Bisons came out firing in the third, pushing hard to break through for the winner. Alexandra Anderson scored the game winner with just over four minutes remaining in the game. Anderson sent a shot at De Beauville, who mishandled the puck, letting it sneak by. Emilie Massé added an empty netter to give Manitoba the 3-1 win. Taraschuk stopped 16 of 17 shots for Manitoba in the game. With the win, Manitoba improves to 5-2-1-0 and the Cougars fall to 2-4-0-1 on the season. The two teams face off again on today. Puck drop is at 2 p.m. CDT.